Applications are invited for a Locum Consultant General Anaesthetist to The Shrewsbury and Telford Hospital NHS Trust. The post attracts 10 Programmed Activities. This post is available from 01 June 2019 for a period of 12 months and will be based at the Royal Shrewsbury Hospital although the successful applicant may be asked to provide some sessions at our sister hospital the Princess Royal in Telford. Candidates for this role must have full GMC registration with a licence to practise and recent experience within the NHS. There is a busy vascular surgical department with 5 Consultants supported by interventional radiology. This post would offer a weekly vascular list. 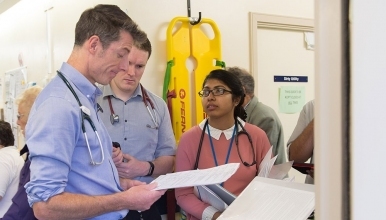 The Royal Shrewsbury Hospital has a total of five ICU beds and six HDU beds, although flexible staffing allows for different levels of dependency to suit clinical need. The ICU serves a busy general Surgical Centre with large vascular and colo-rectal service. There is also a busy Medical take. Additional surgical services are – upper GI surgery including bariatric, gynaecology, urology, orthopaedic trauma and eye surgery.